Tableau Software has a new look. 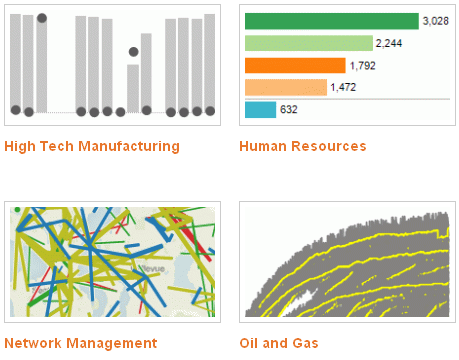 You’ll also see an entirely new section on solutions by industry, which show examples of how customers have used Tableau in applications from oil well management to designing video games. And our visual gallery is completely updated with gorgeous, downloadable examples that you can use as inspiration when you’re working on your next visualization. 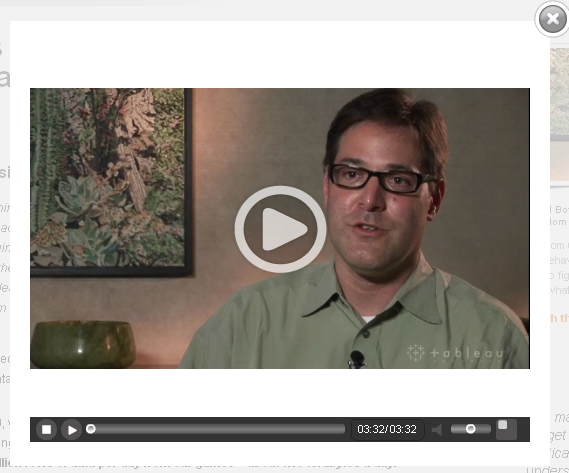 New customer videos give you a sense for how customers are innovating with Tableau. For example, VP of Business Intelligence David Botkin at Playdom discusses how they use Tableau to analyze terabytes of customer behavior data. There have been some kinks: our Forums temporarily lost a few threads and the layout changed (thanks Richard and Joe for your help here). If you have trouble finding anything or have other feedback on the new site, please feel free to comment here or email us at visualanalysis@tableau.com. We hope you like what you see. It’s a more sophisticated, deeper website but we’ve not lost our Zen: direct, clean, fast, beautiful, easy, fun, and for people. The inspiration for everything in this new website came from our customers, so thank you for your energy and commitment to understanding data through Tableau. I like the new look and the viz gallery is awesome!